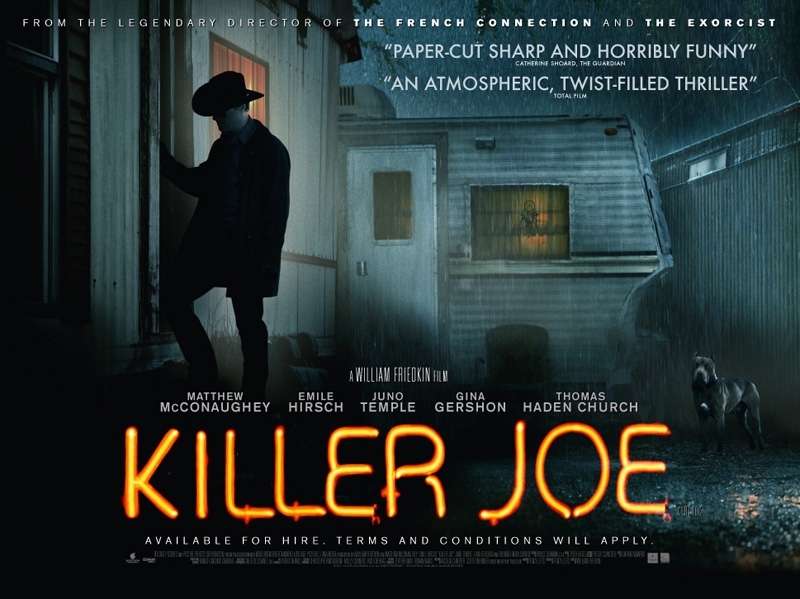 Trailer has been released for William Friedkin's 'Killer Joe,' staring Matthew McConaughey (The Lincoln Lawyer) and Emile Hirsch (Into the Wild) with a supporting cast including Juno Temple (upcoming The Dark Knight Rises, Dirty Girl), Thomas Haden Church (Sideways) and Gina Gershon (Bound). The film was directed by Friedkin (The Exorcist, The French Connection) with a script by Pulitzer Prize and Tony Award-winning playwright, Tracy Letts. 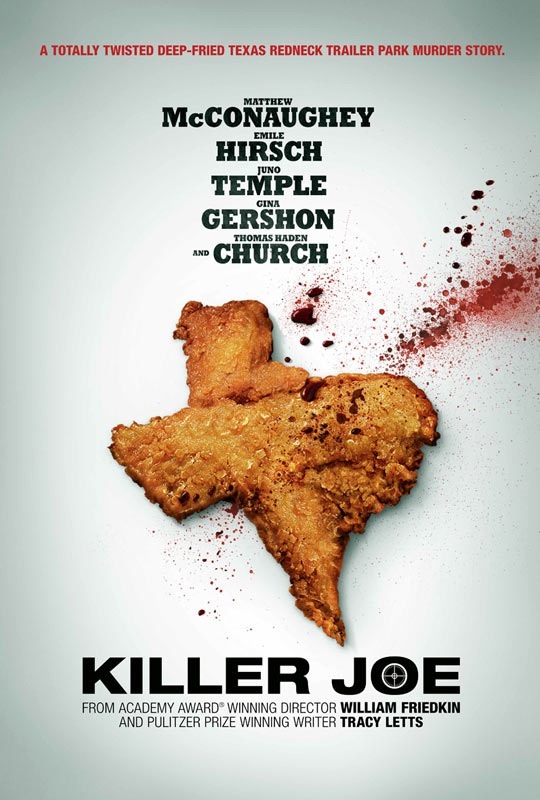 In Killer Joe, when 22-year-old drug dealer Chris (Hirsch) has his stash stolen by his mother, he has to come up with six thousand dollars quick or he's dead. Desperate, he turns to "Killer Joe" (McConaughey) when he finds out that his mother's life insurance policy is worth $50,000. Although Joe usually demands cash up front, he finds himself willing to bend the rules in exchange for Chris' attractive younger sister, Dottie (Temple), who will serve as sexual collateral until the money comes in... if it ever does. 'Killer Joe' has a 29 June 2012 release date in Ireland and the UK, a little bit of a longer wait for the US which has a release date of 27 July.